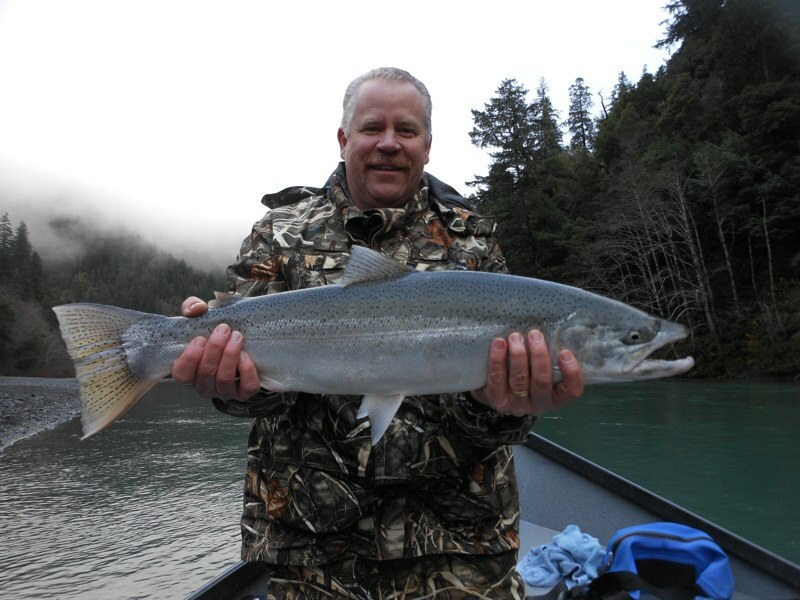 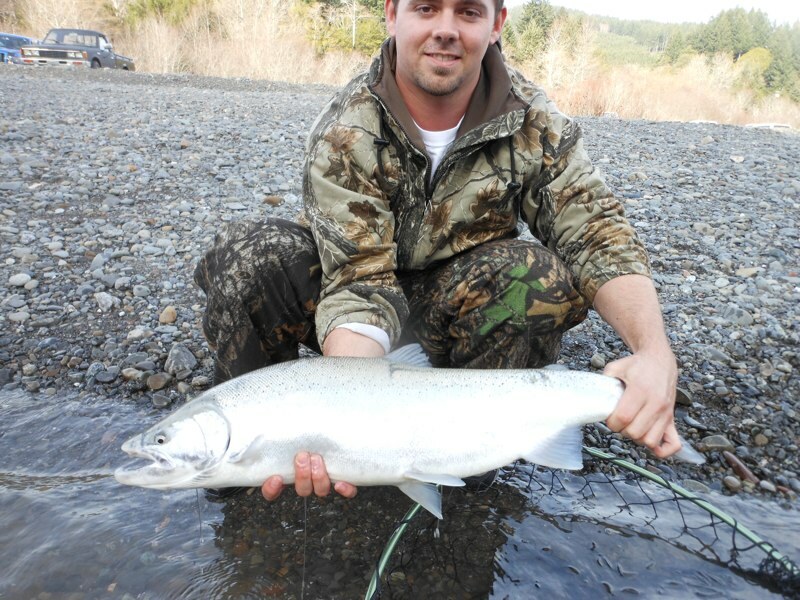 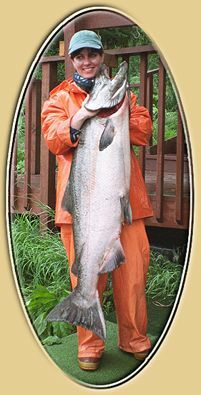 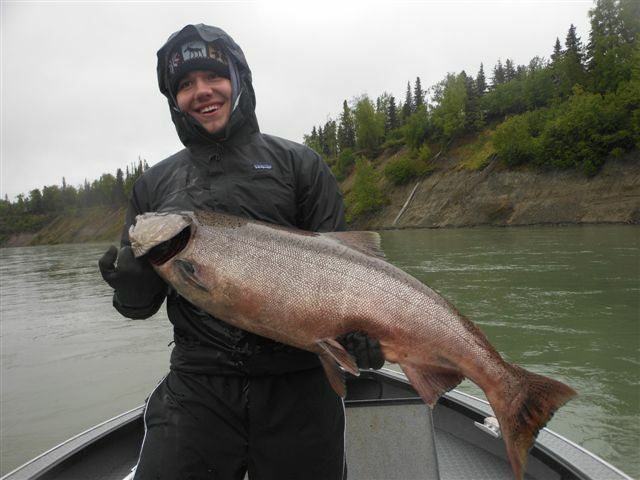 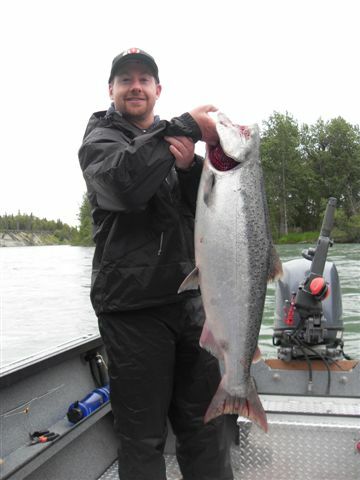 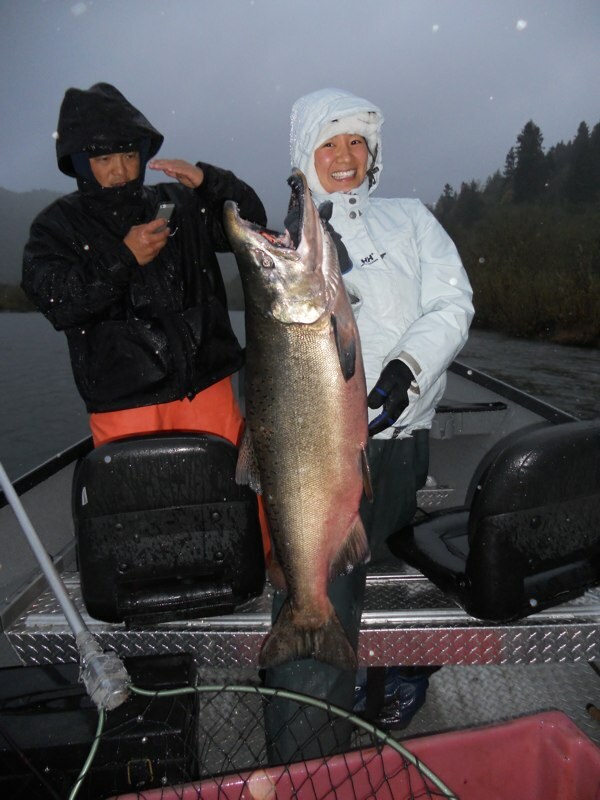 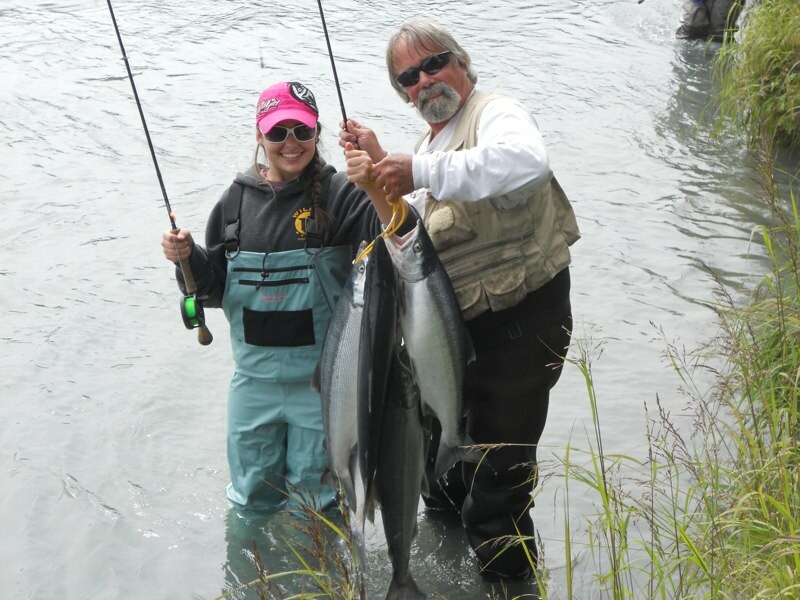 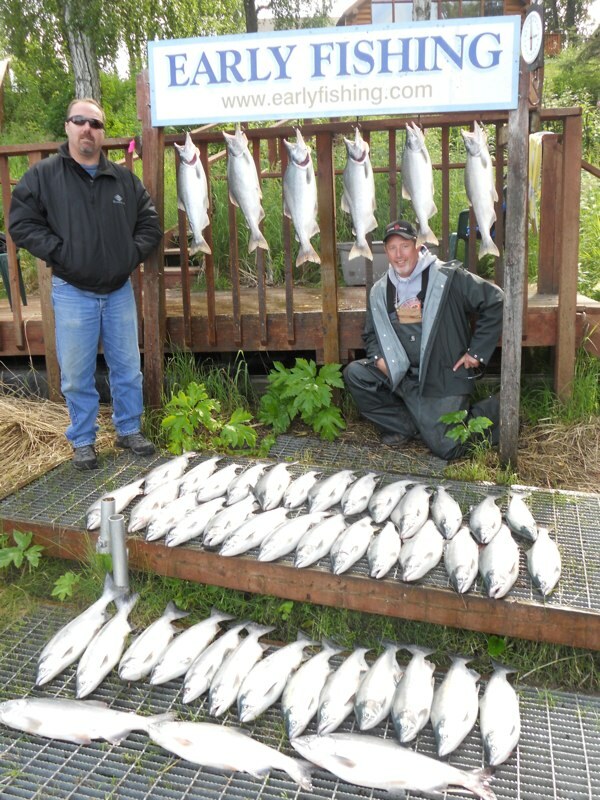 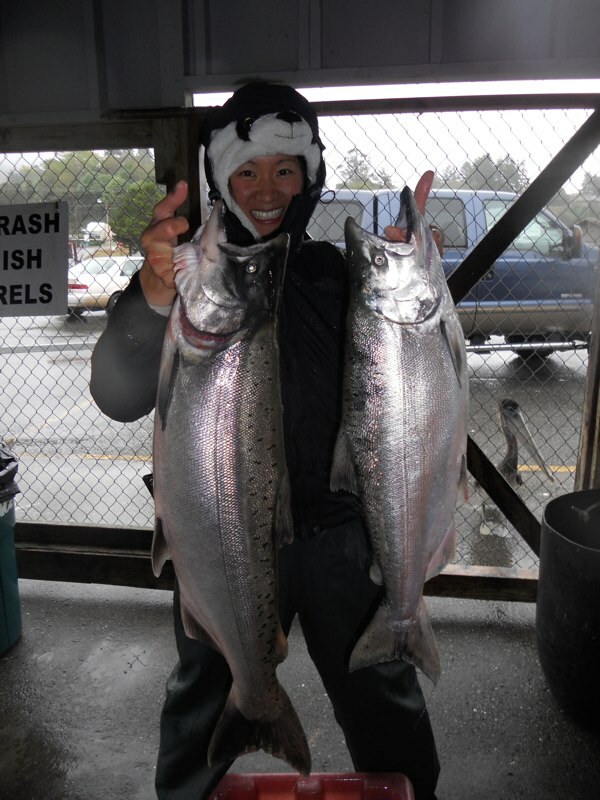 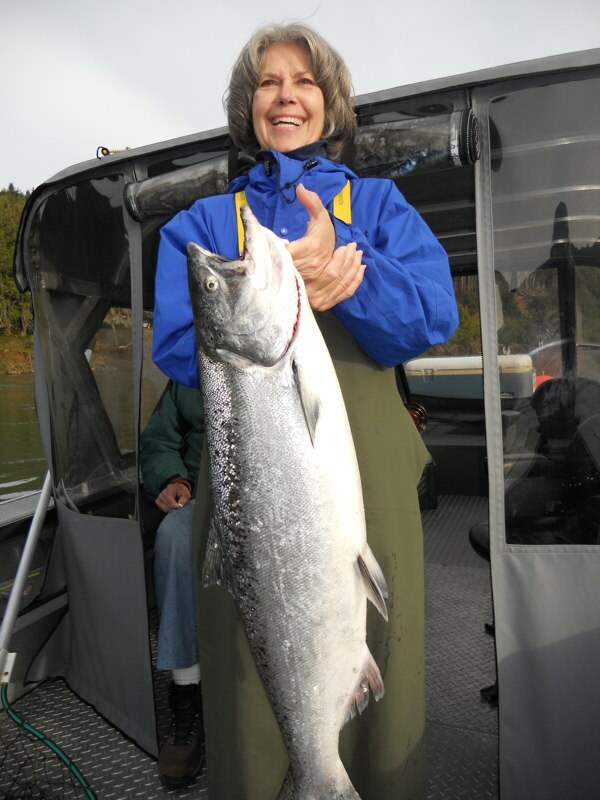 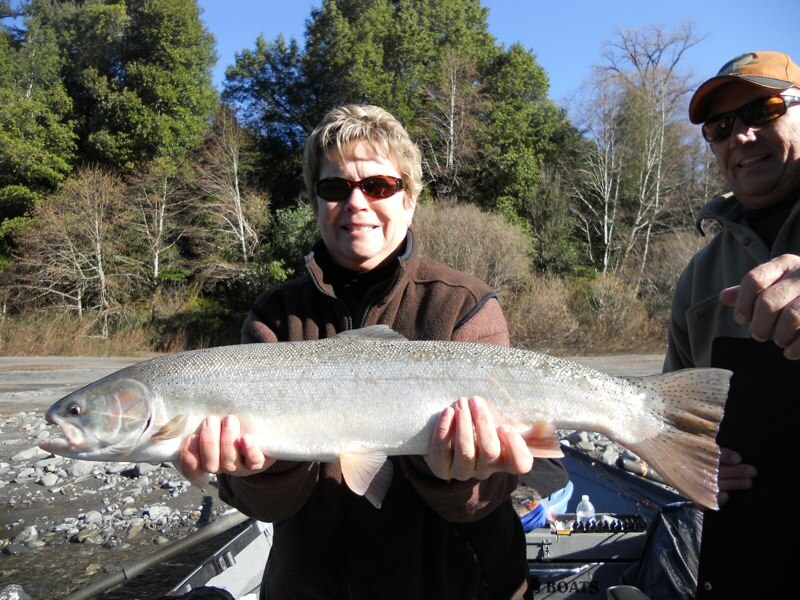 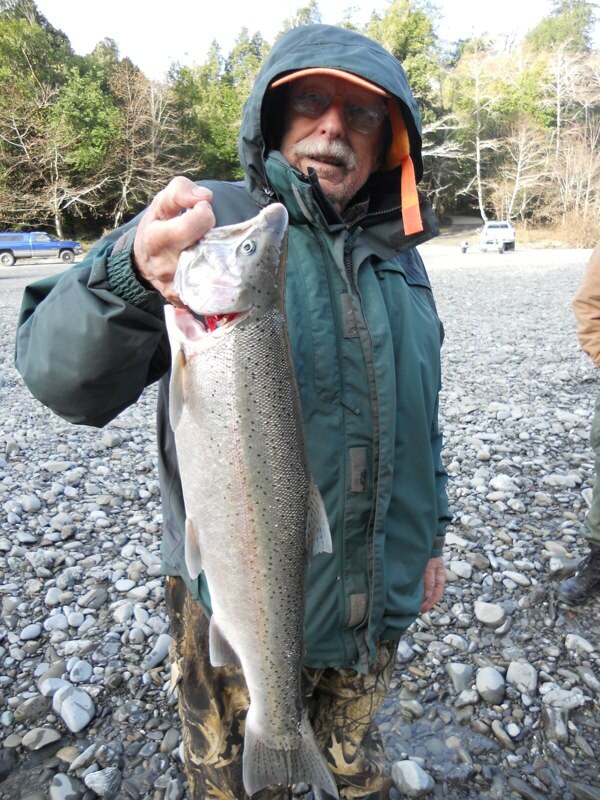 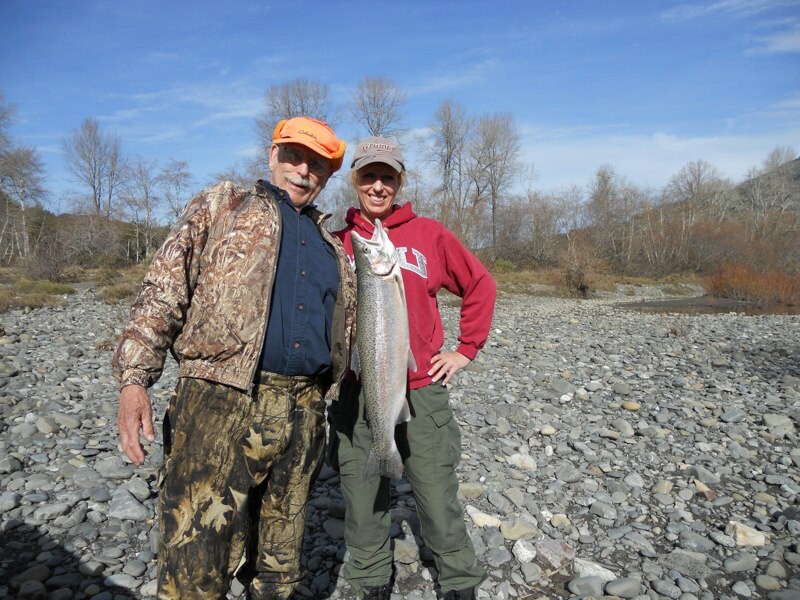 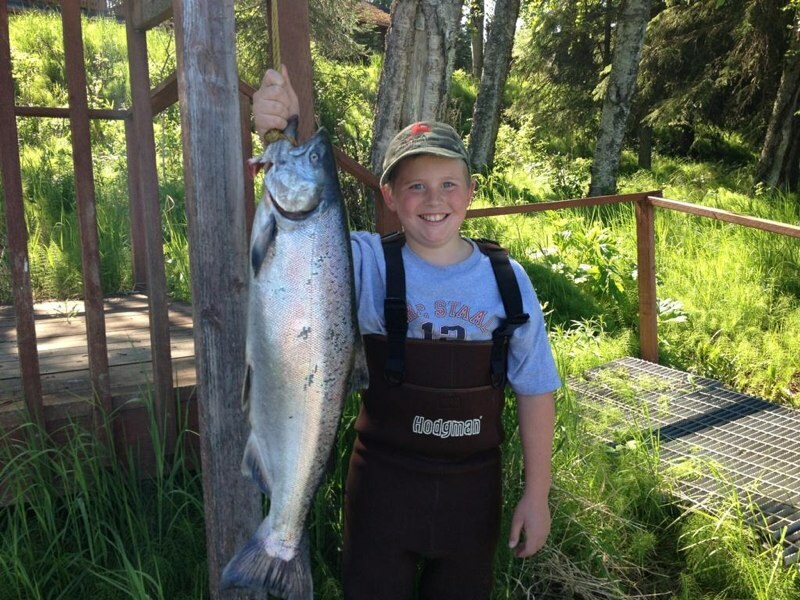 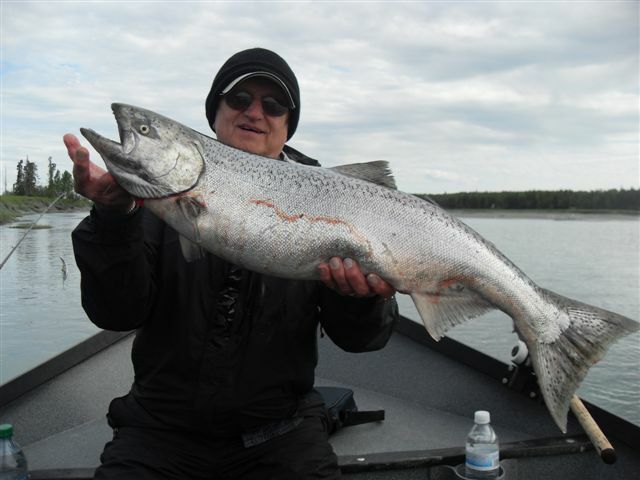 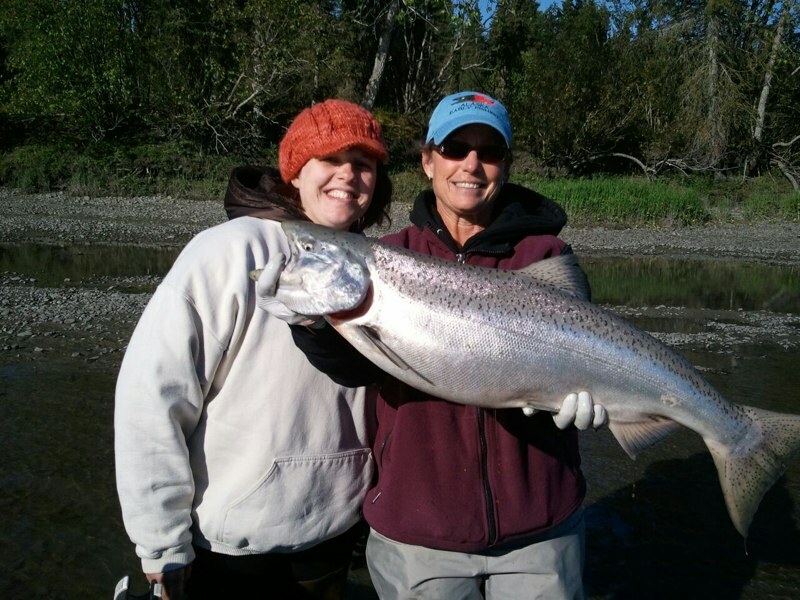 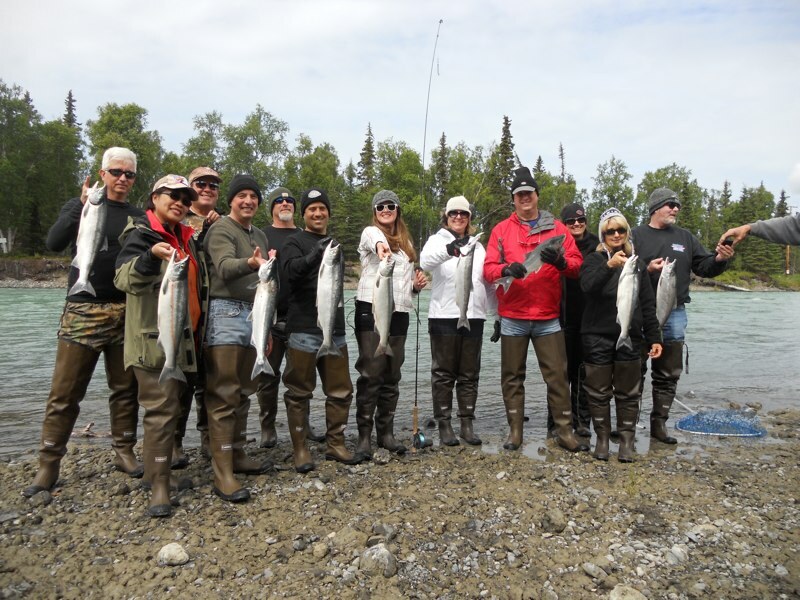 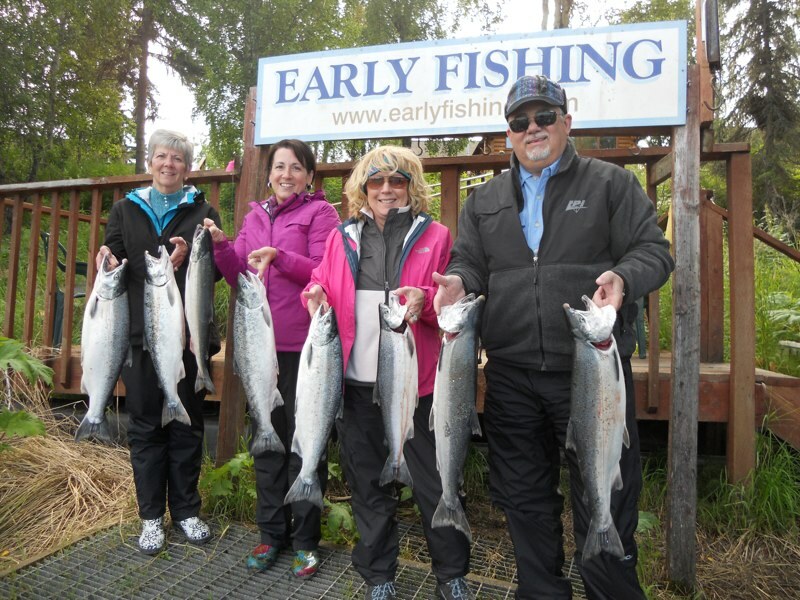 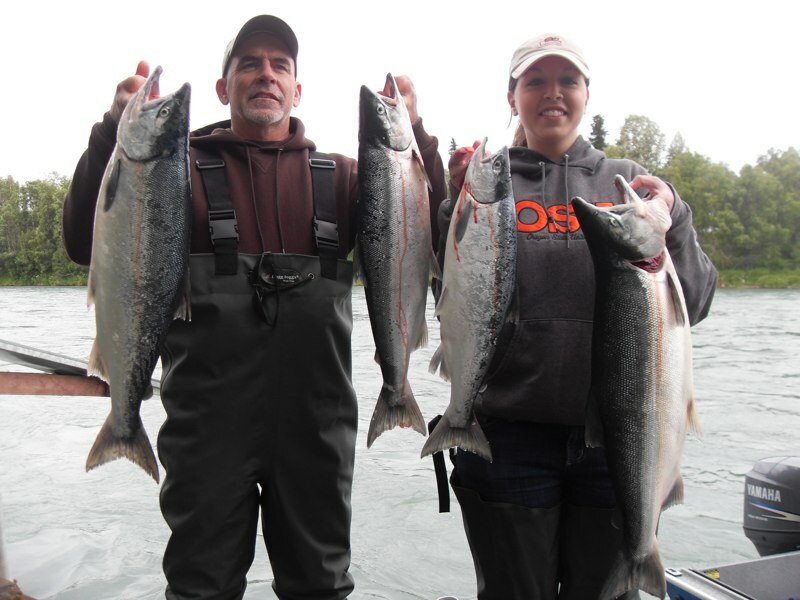 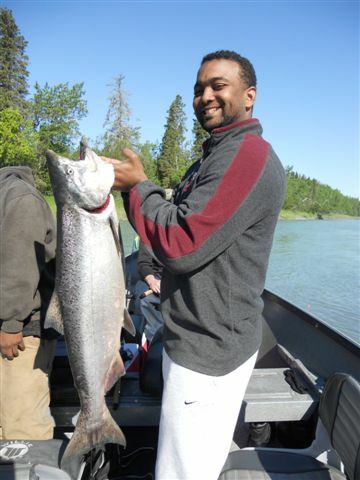 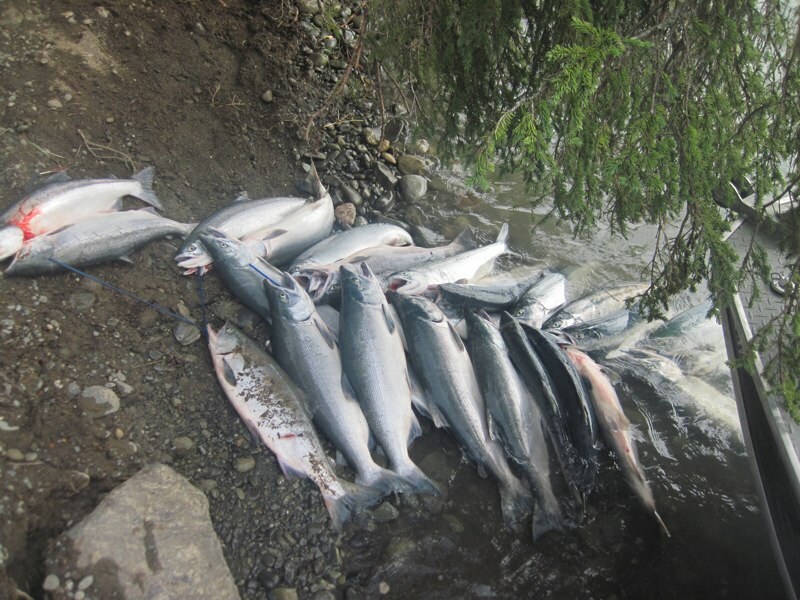 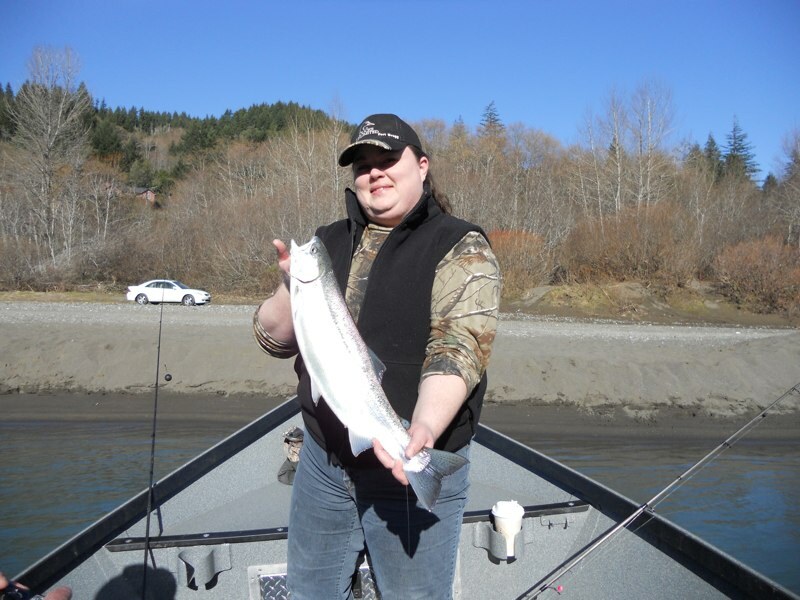 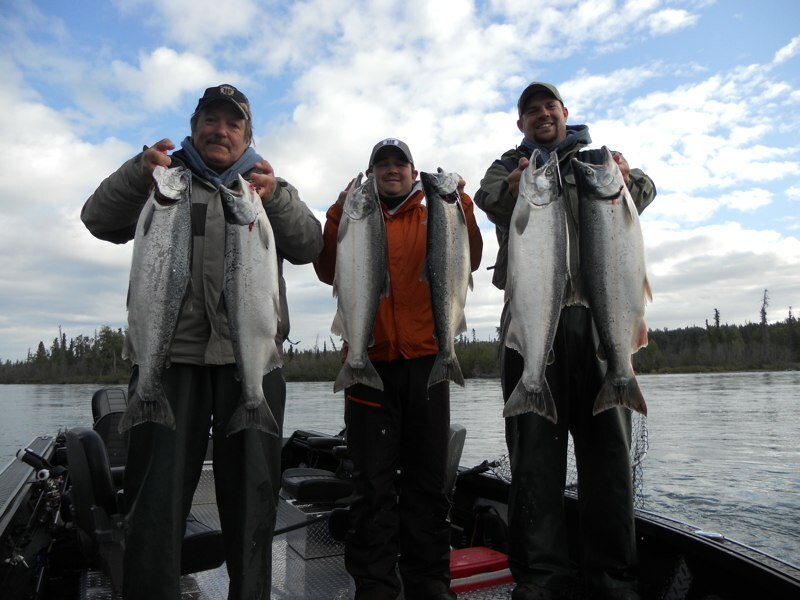 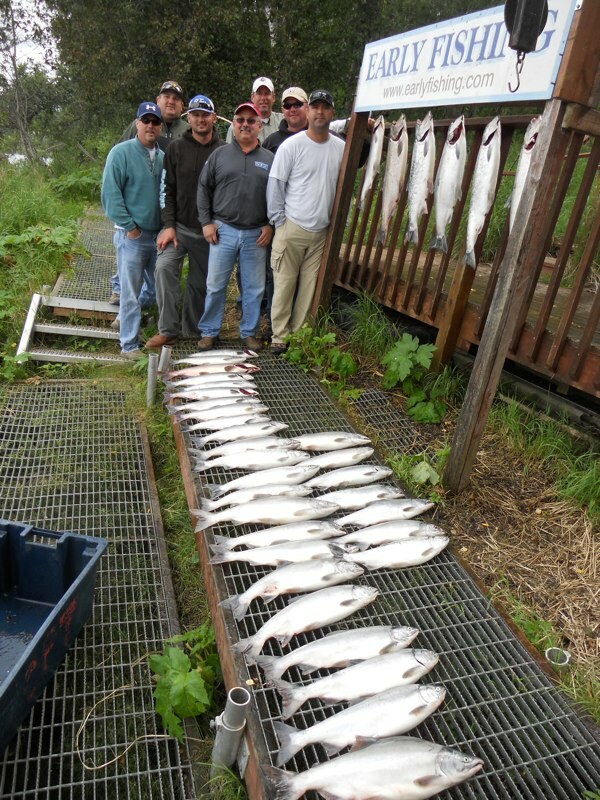 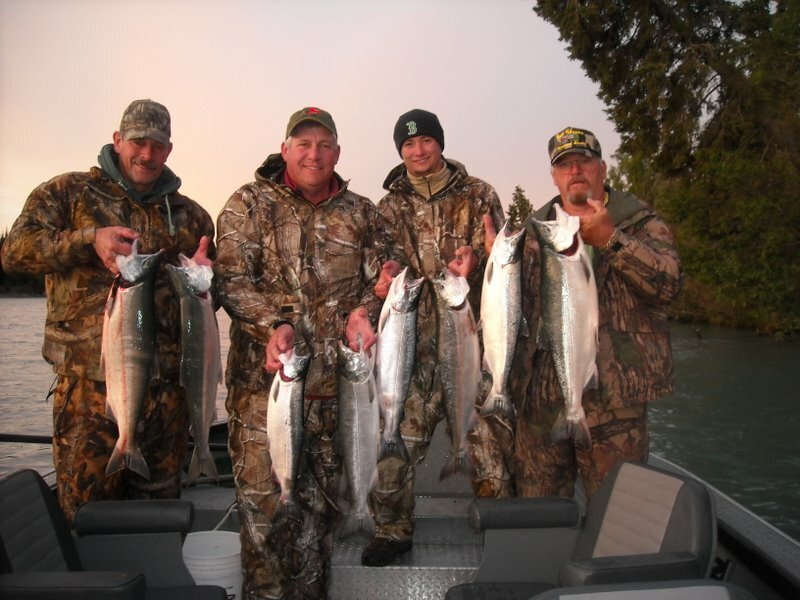 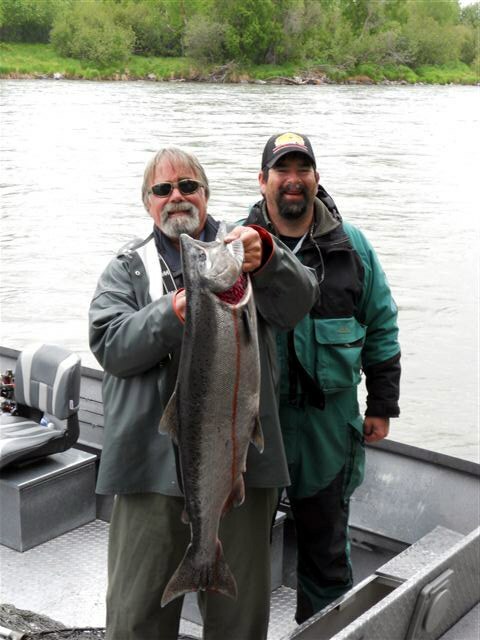 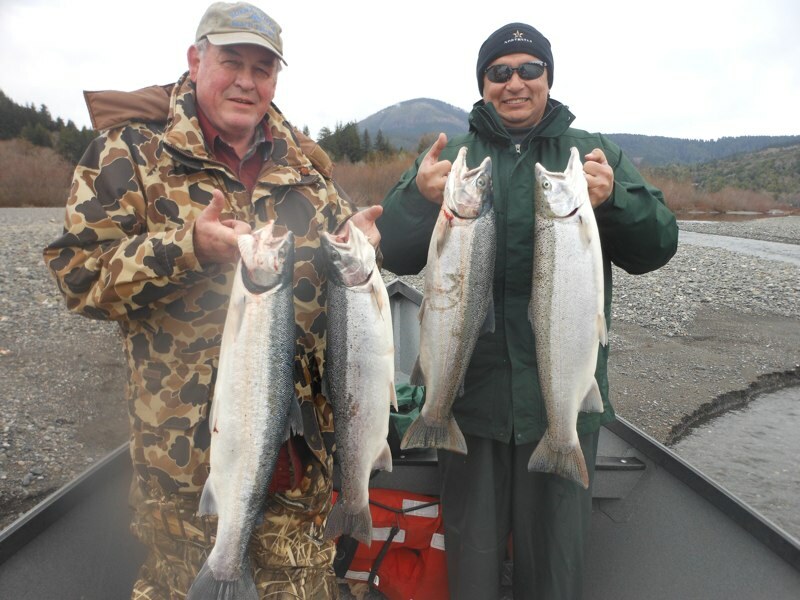 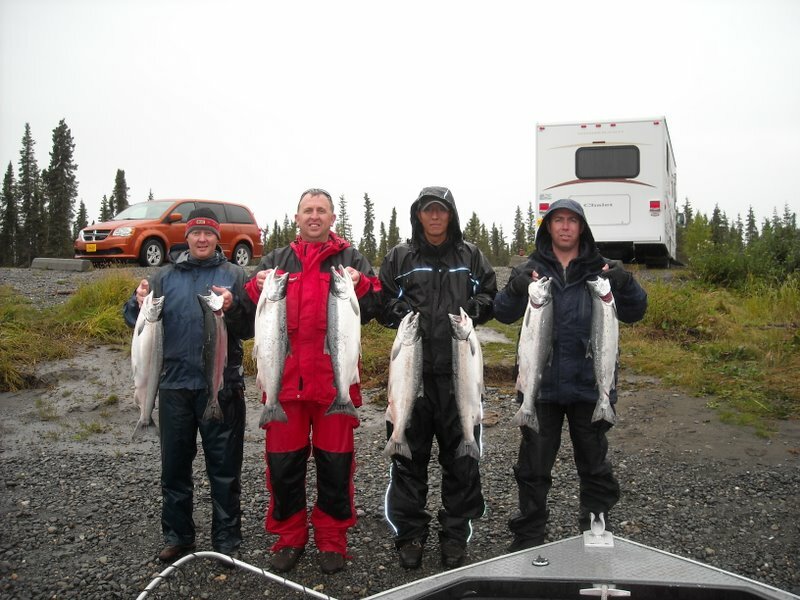 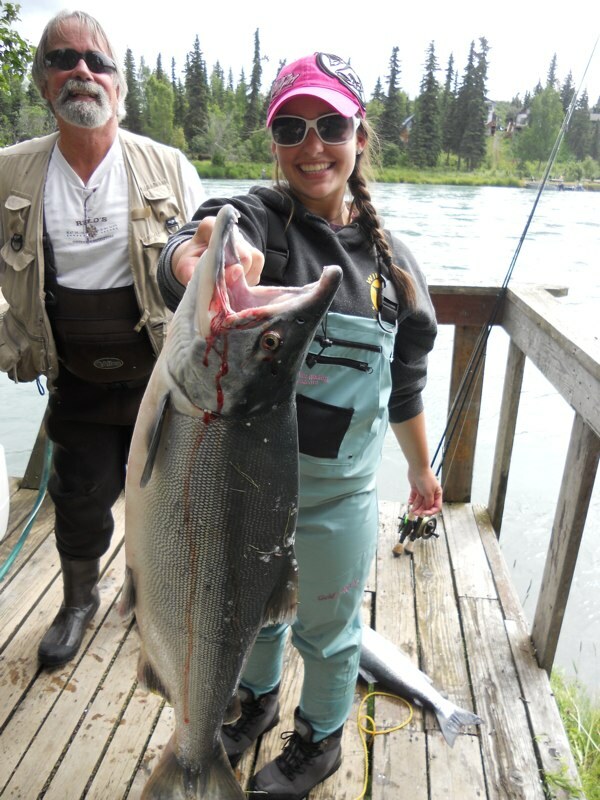 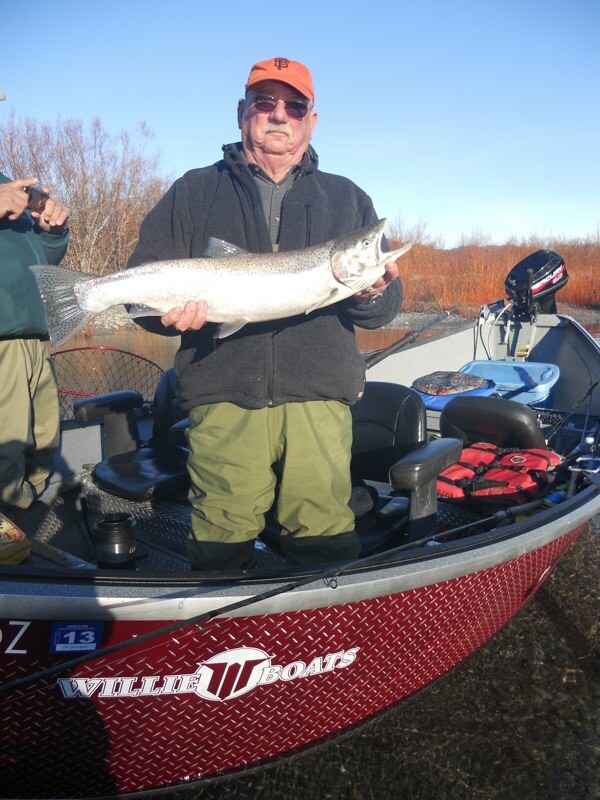 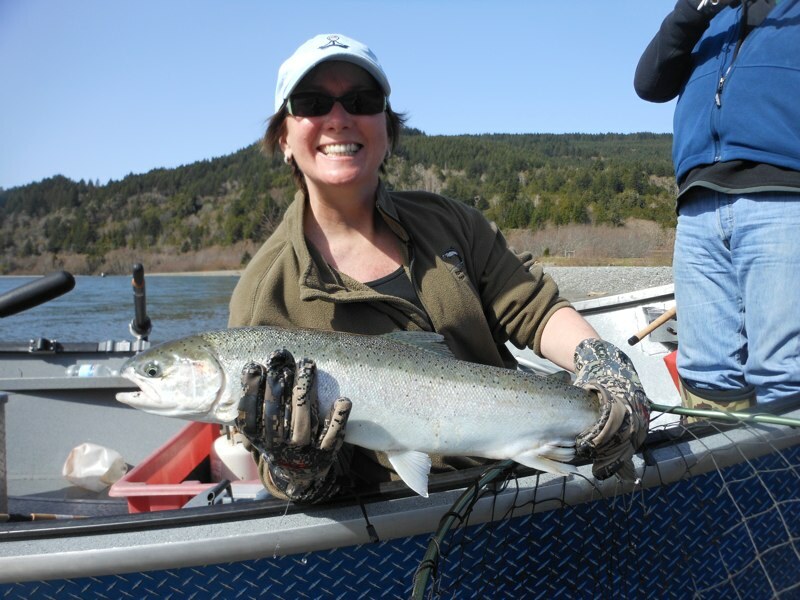 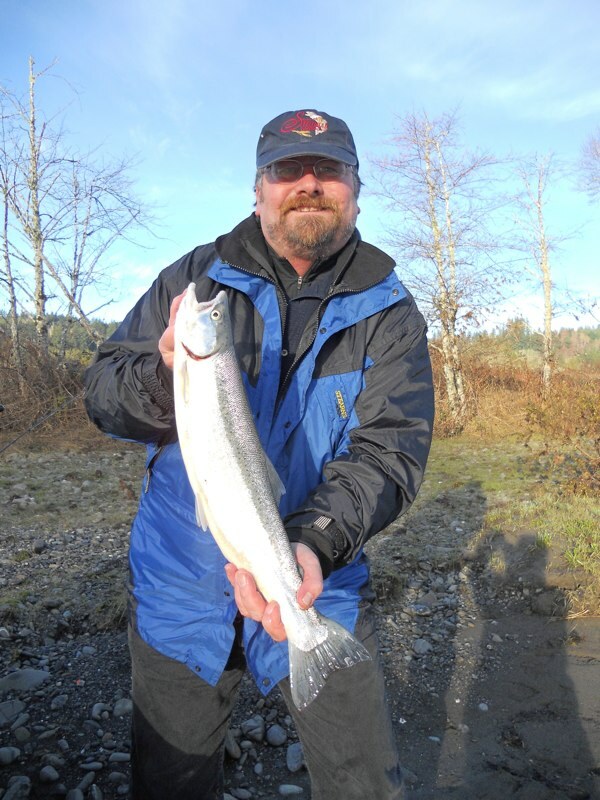 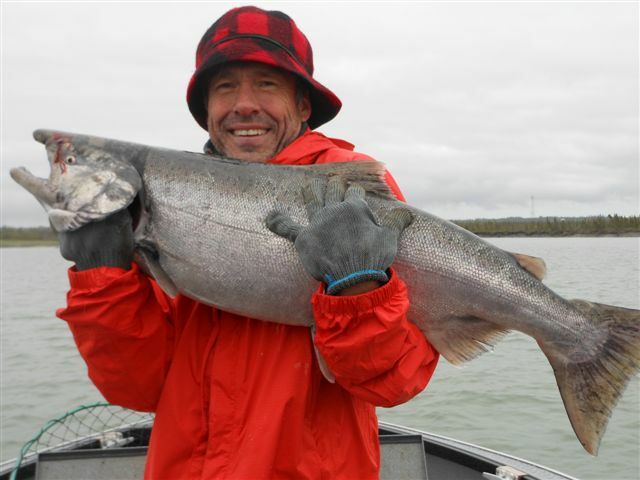 EARLY Fishing Photos - Kenai & Kasilof River king & silver salmon, Alaska halibut, Oregon salmon & steelhead. 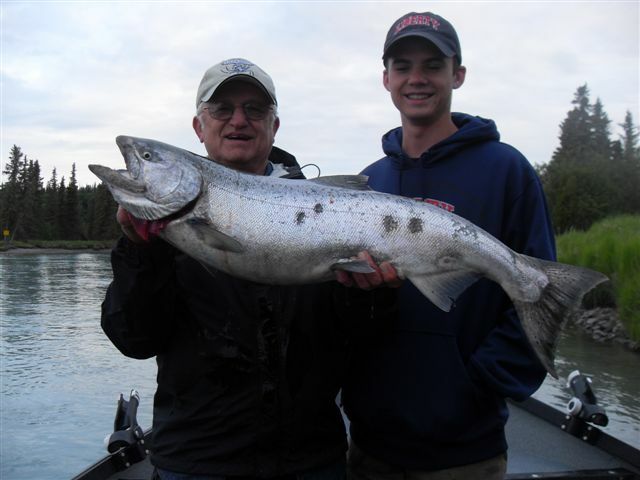 Good Memories should last a lifetime! 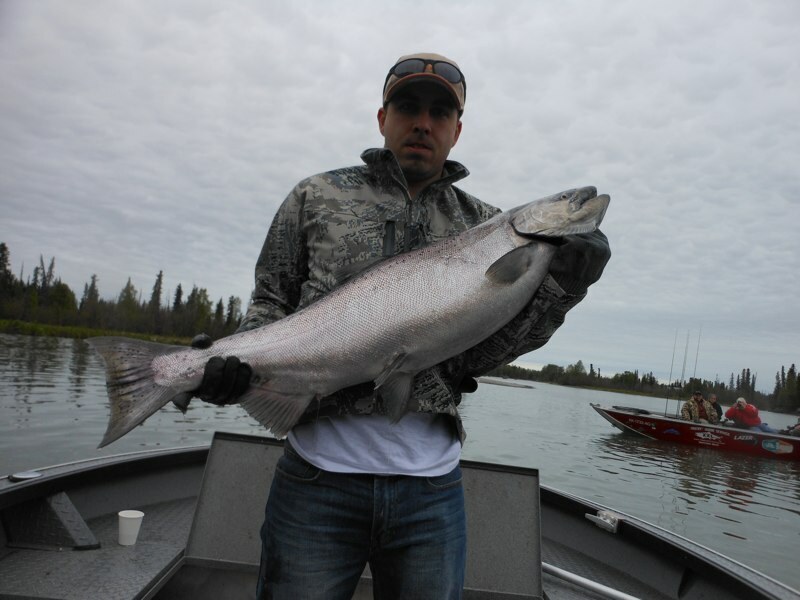 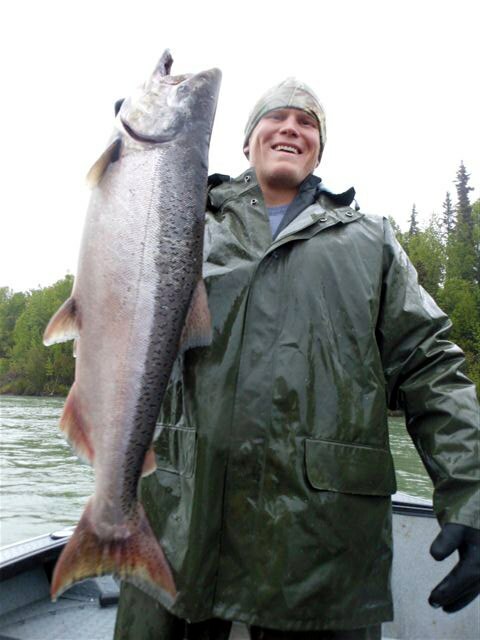 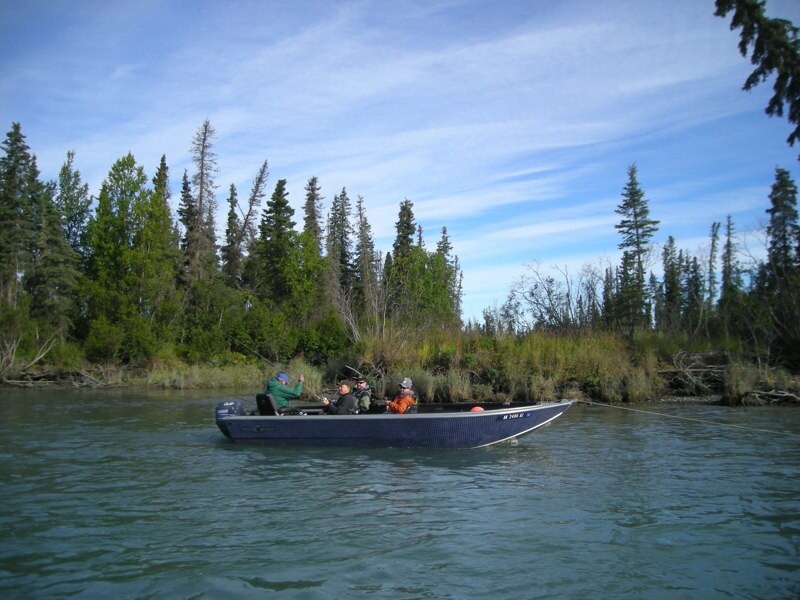 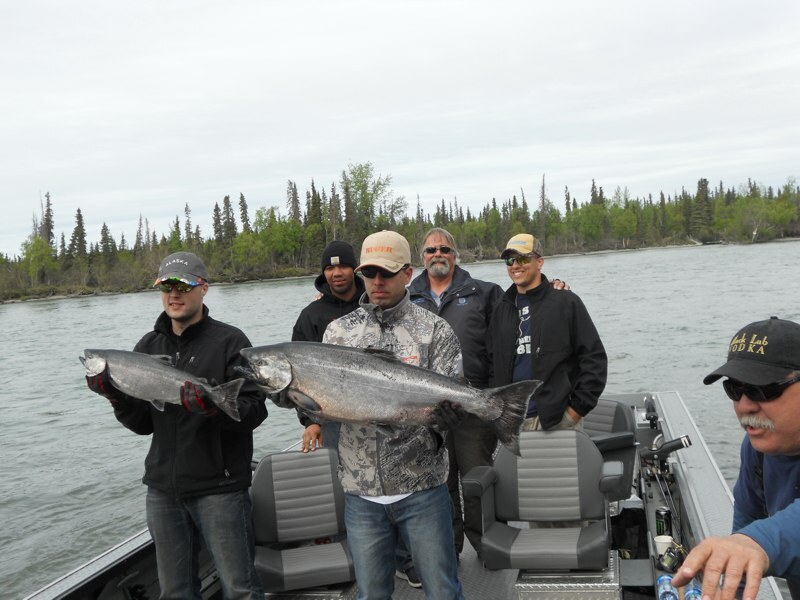 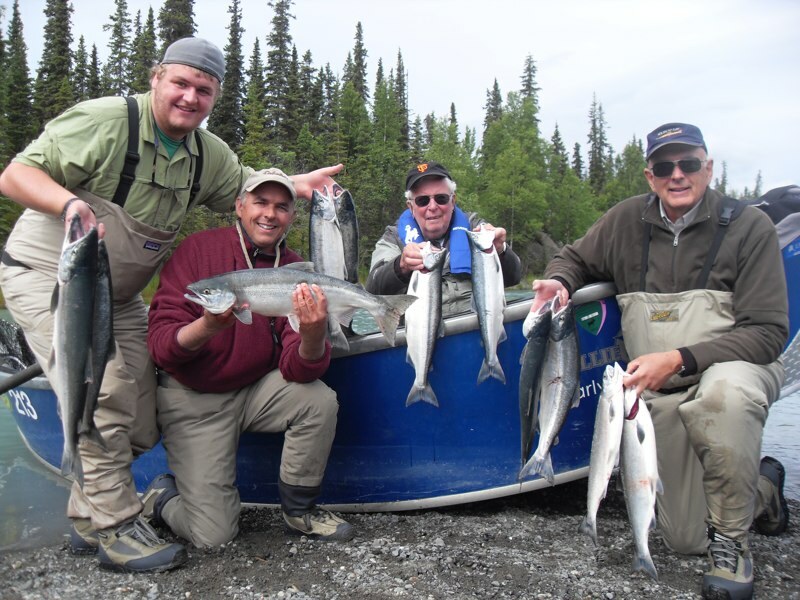 And Alaska is a land providing some of the most memorable experiences left to be discovered by the traveling angler. 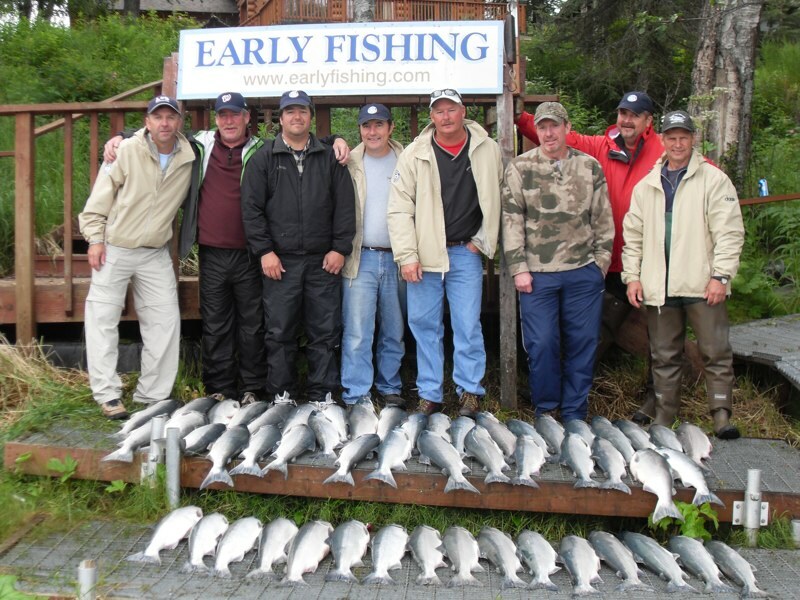 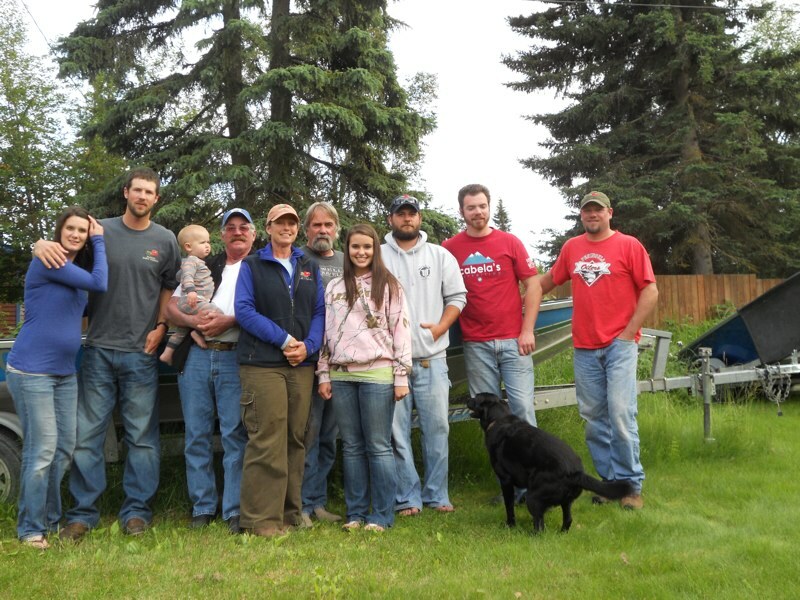 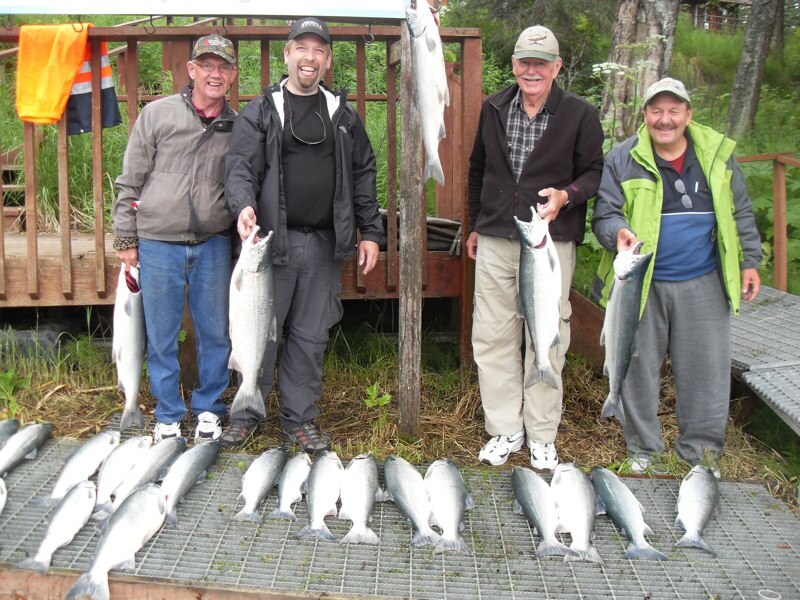 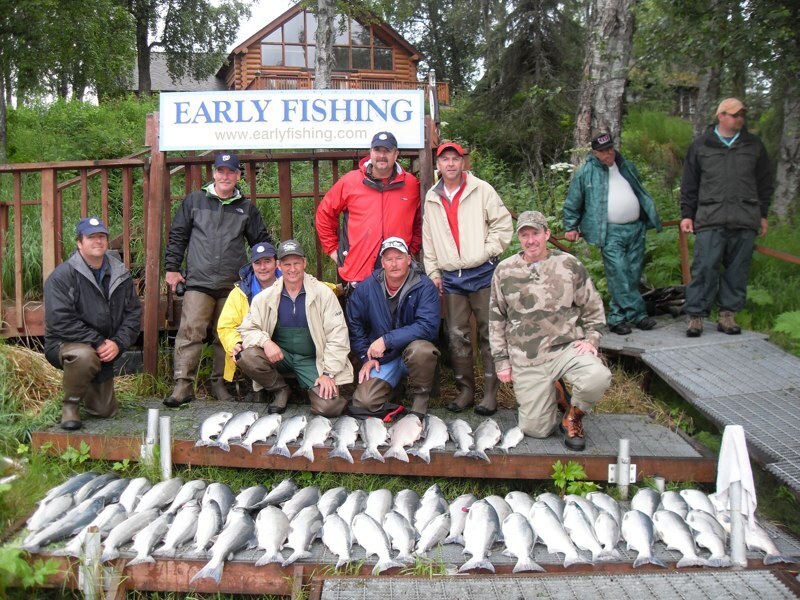 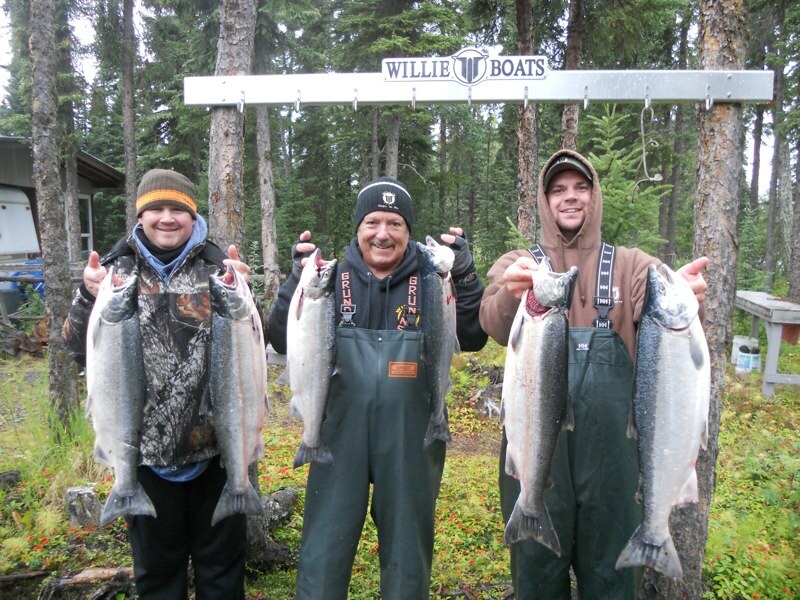 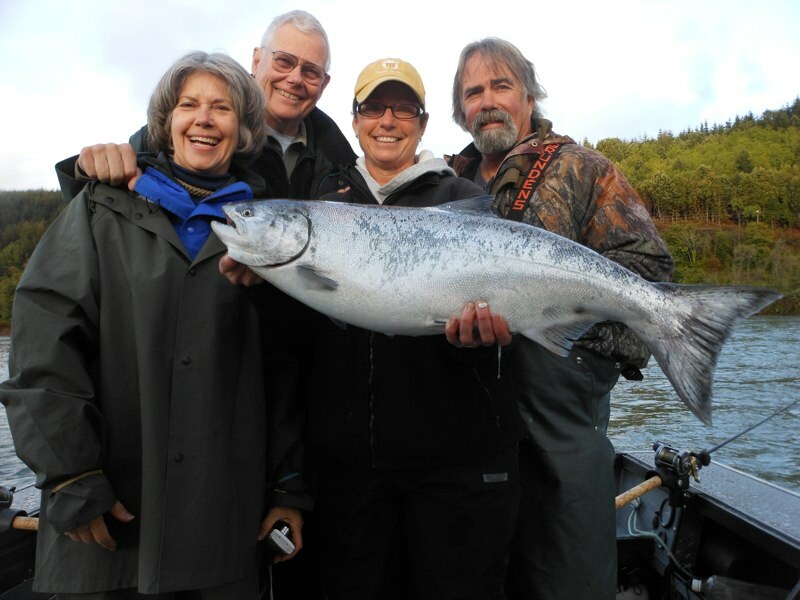 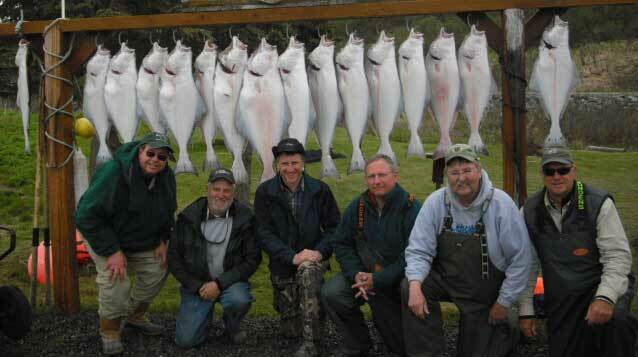 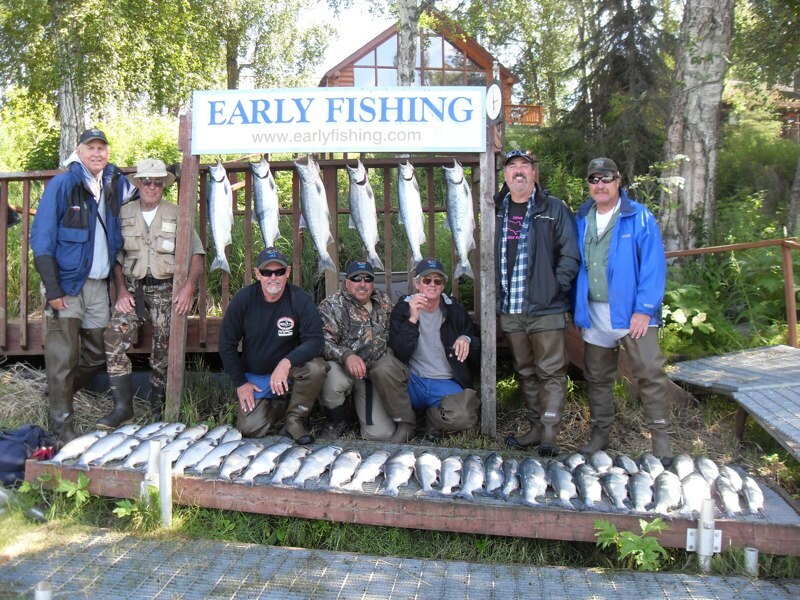 Whether its catching that trophy Kenai king salmon (60 pounder at left & right) for hanging on the wall or battling a barndoor-sized halibut from the depths of Cook Inlet, Early Fishing has put over three decades of smiles and memories in our clients' photo albums. 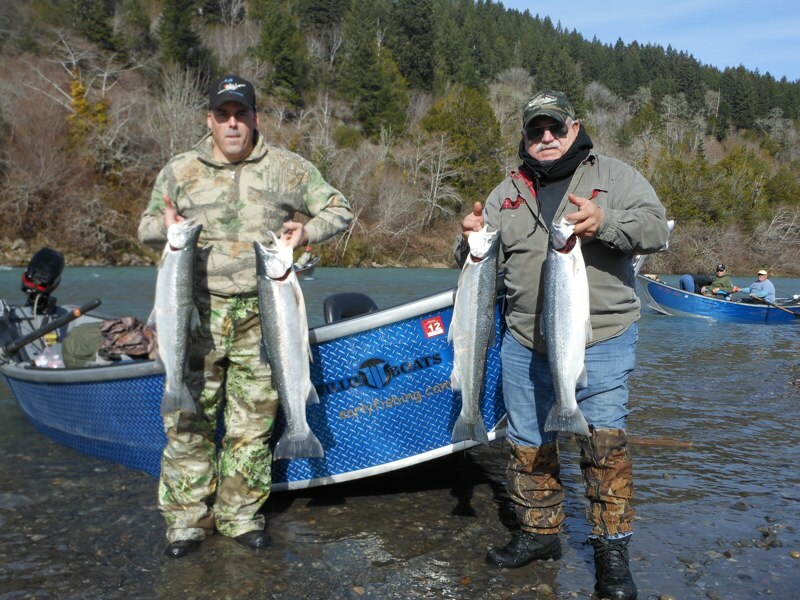 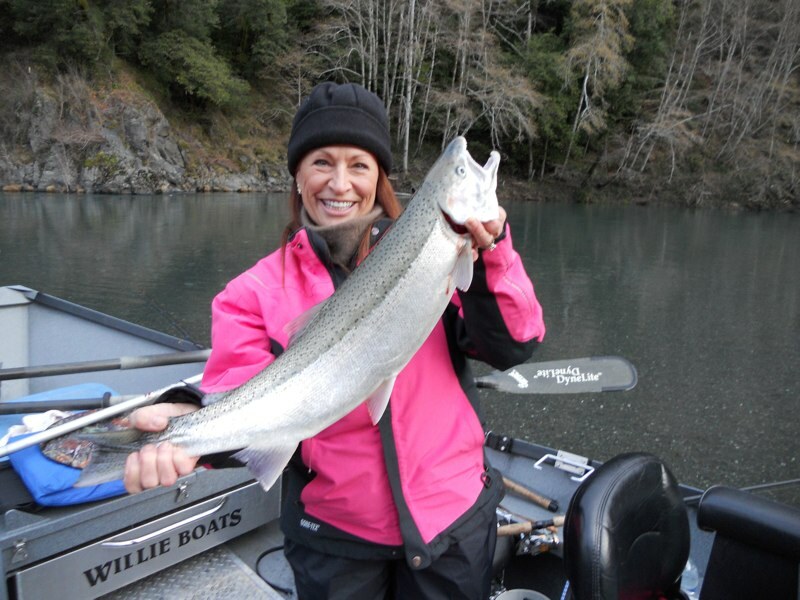 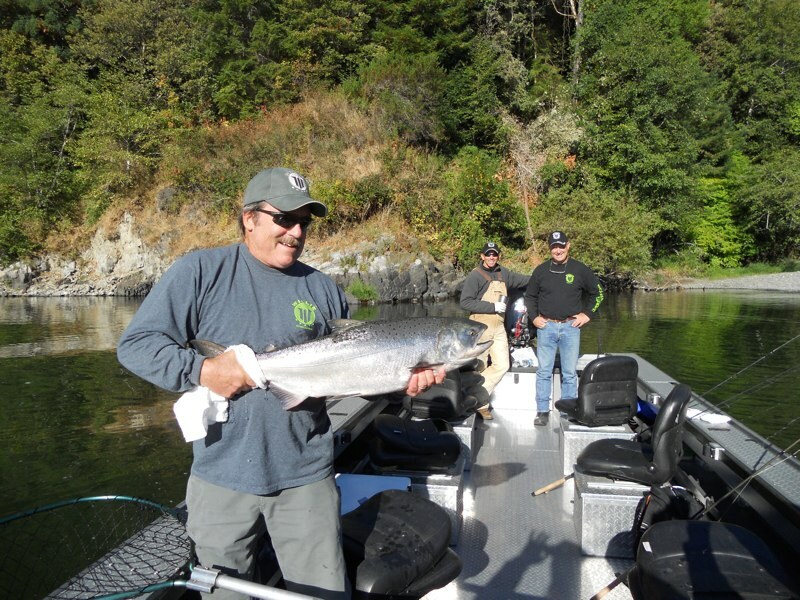 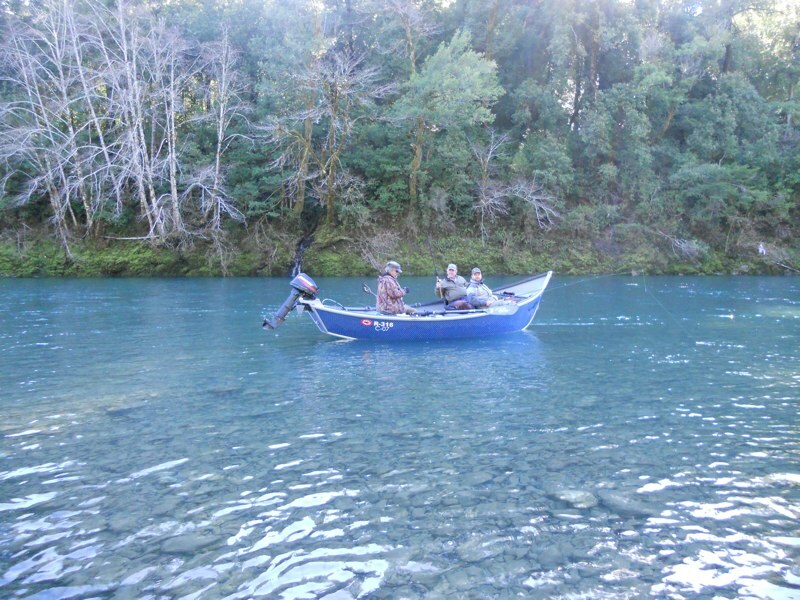 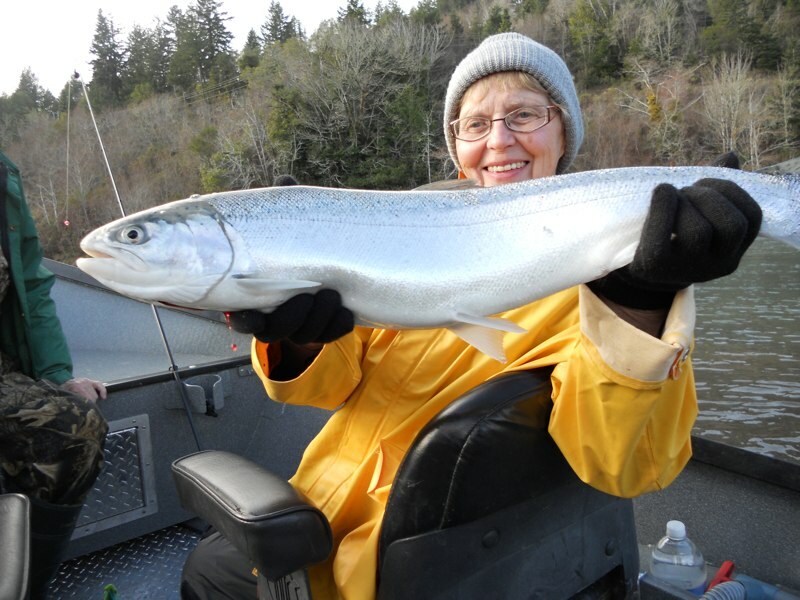 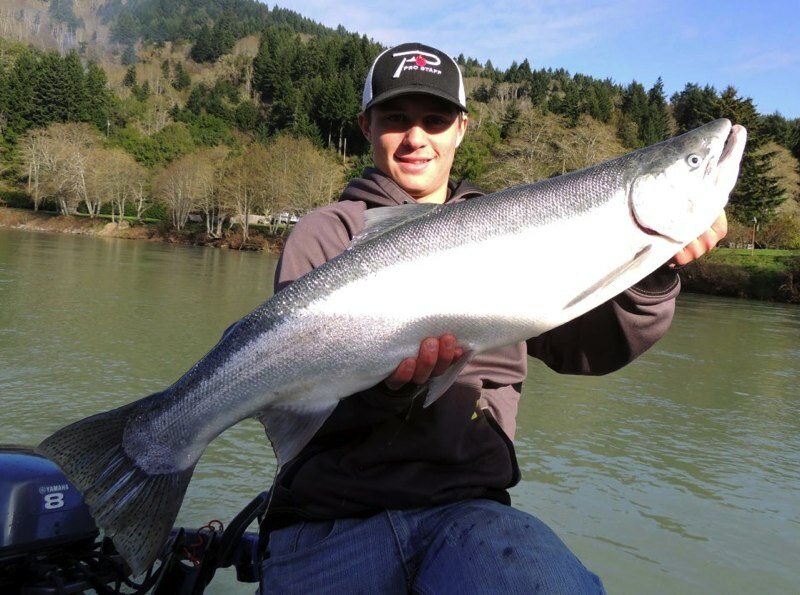 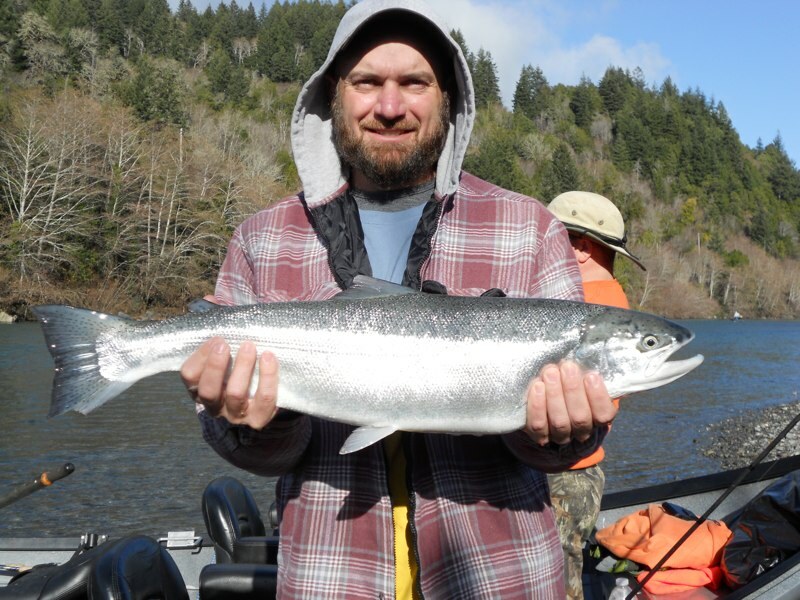 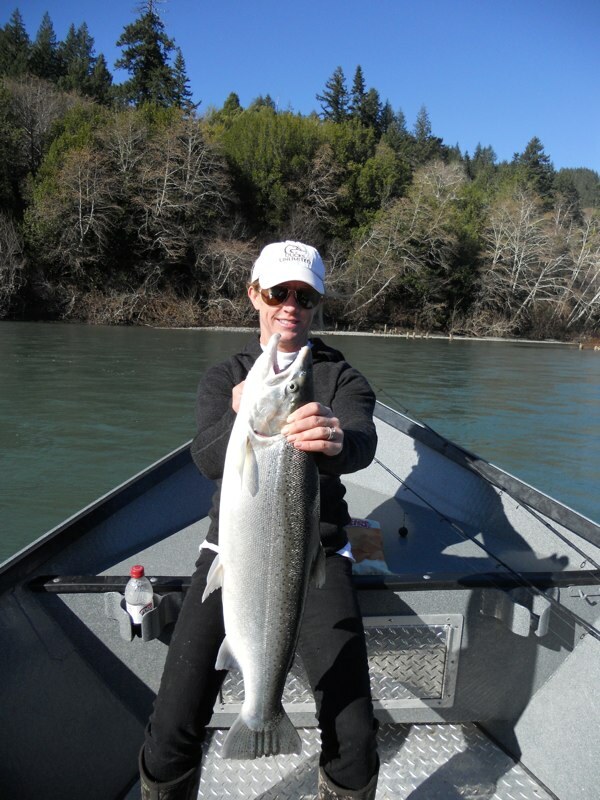 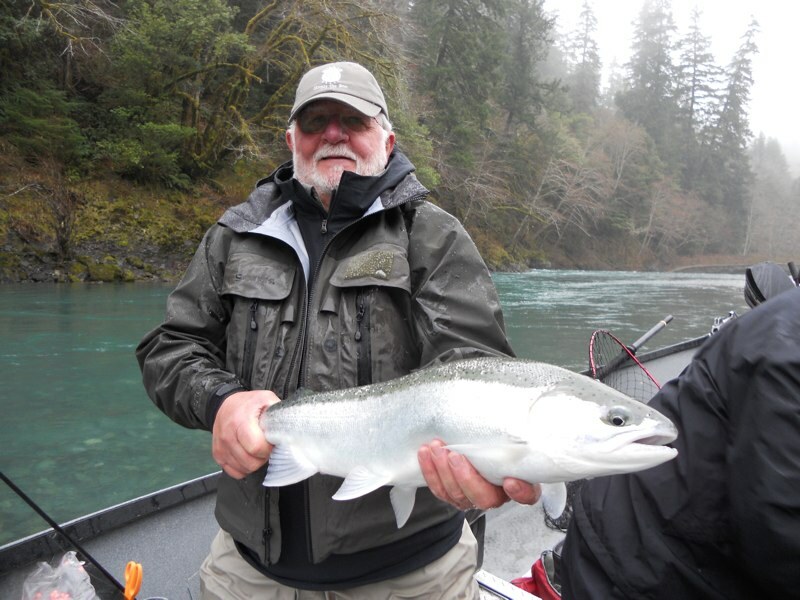 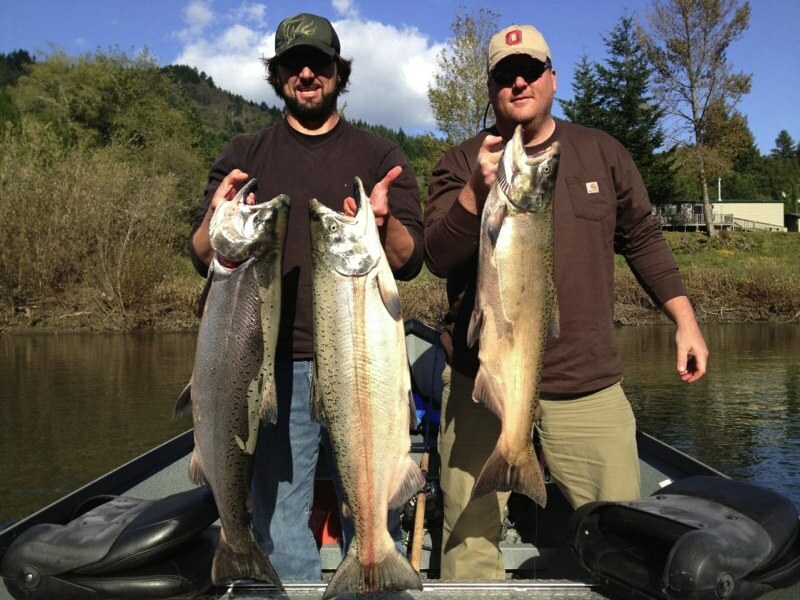 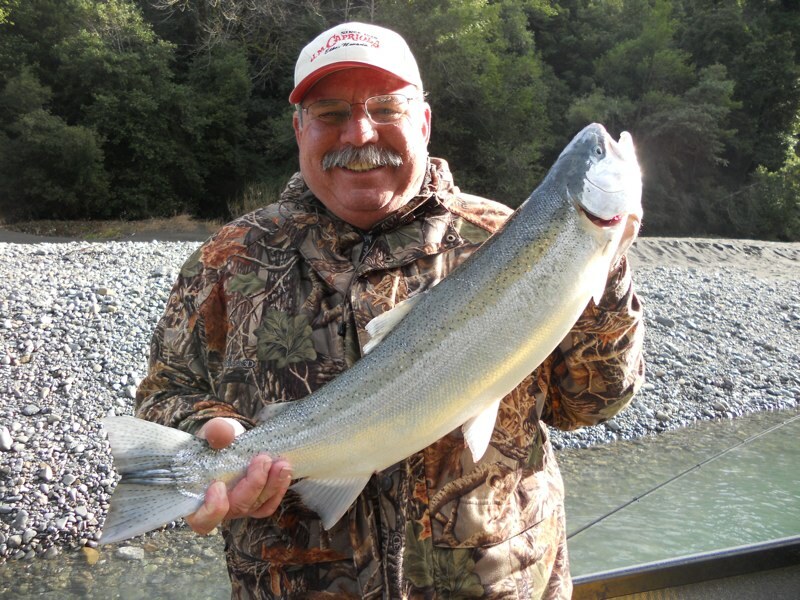 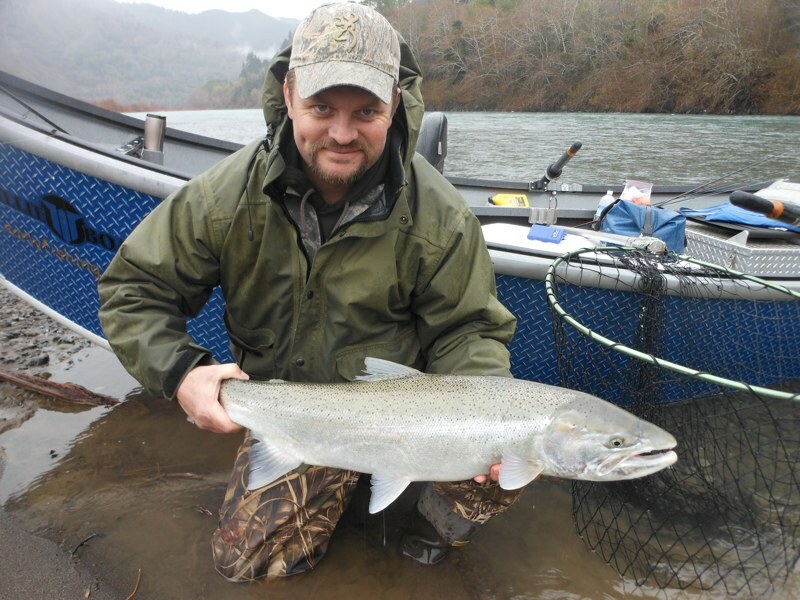 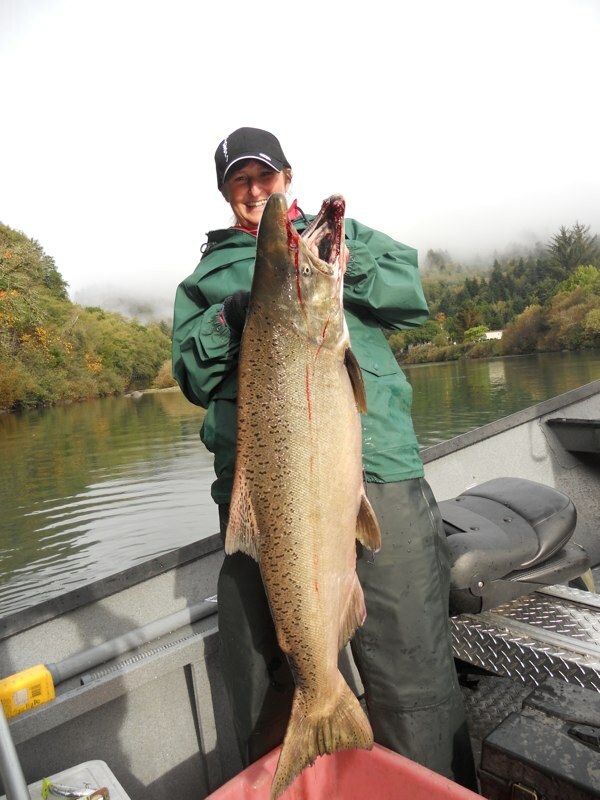 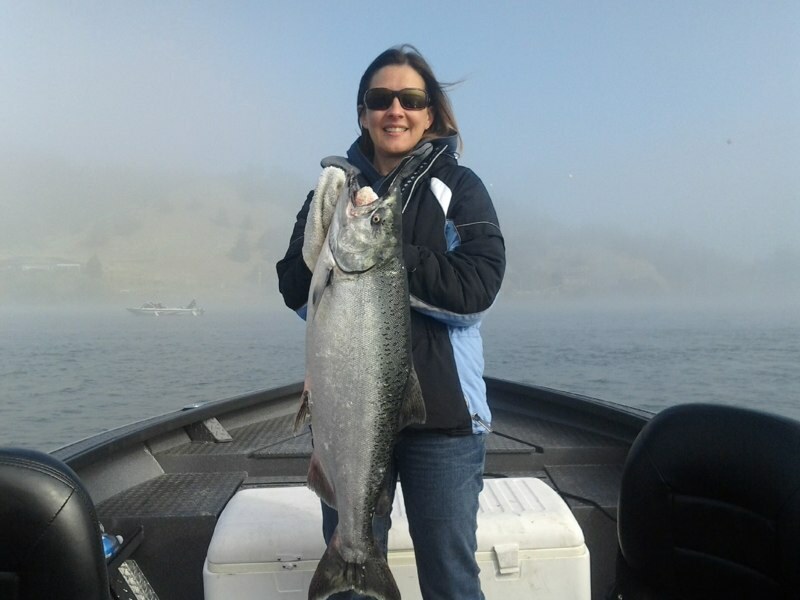 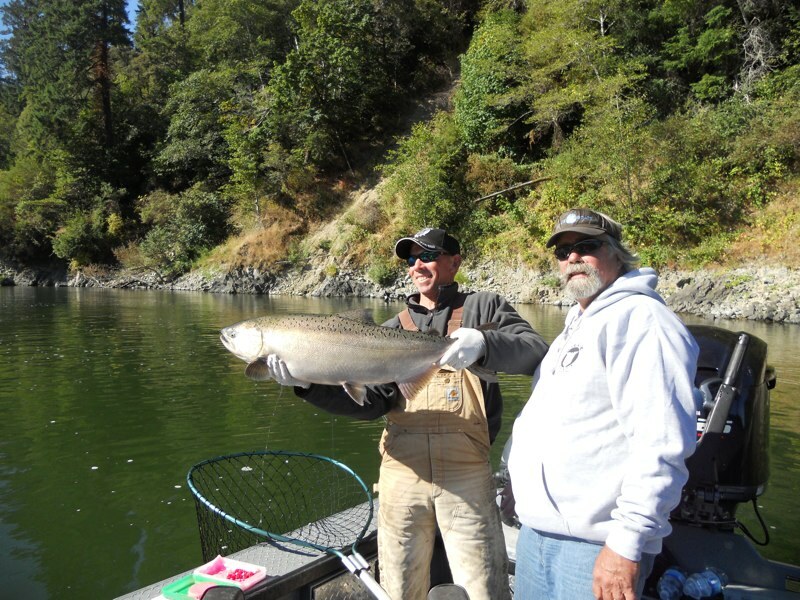 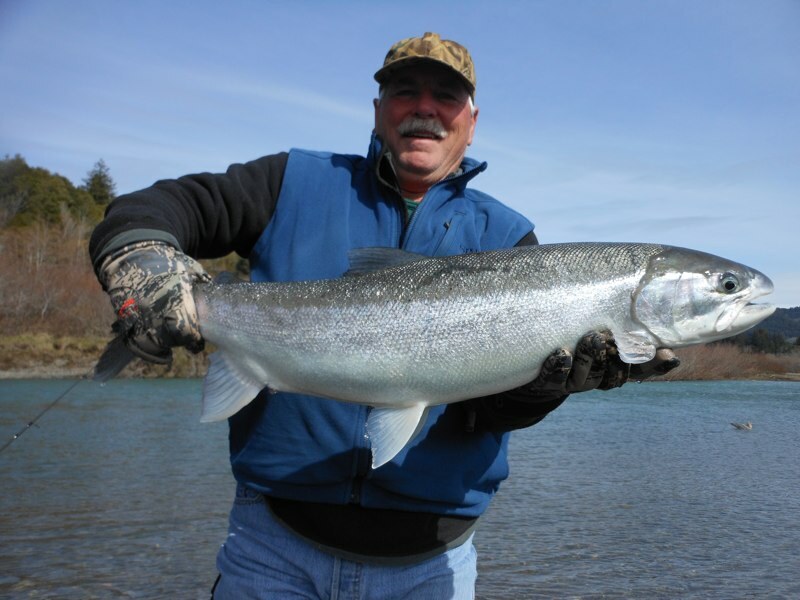 For those anglers seeking the thrill of West Coast chinook and steelhead, we have fished the most productive waters Oregon and northern California have to offer since 1978. 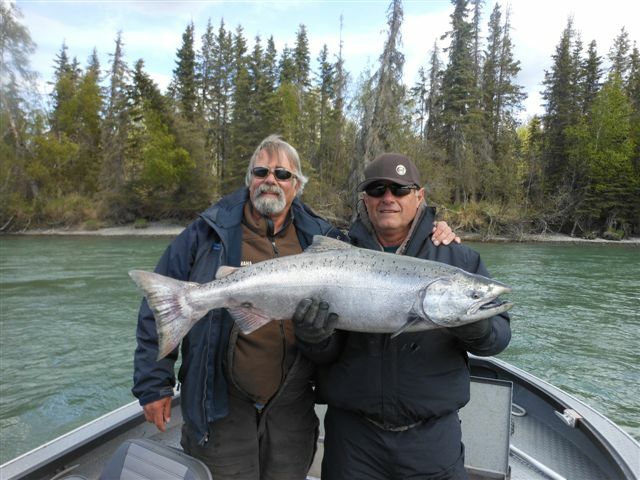 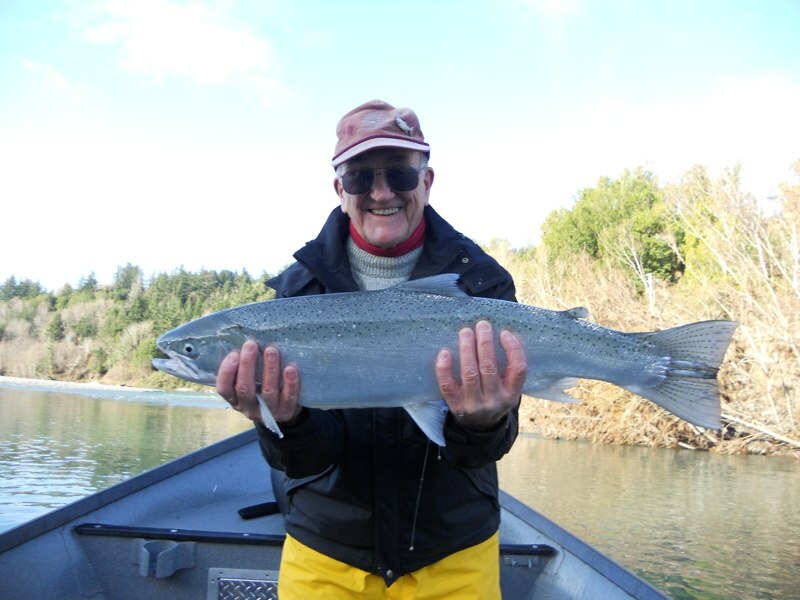 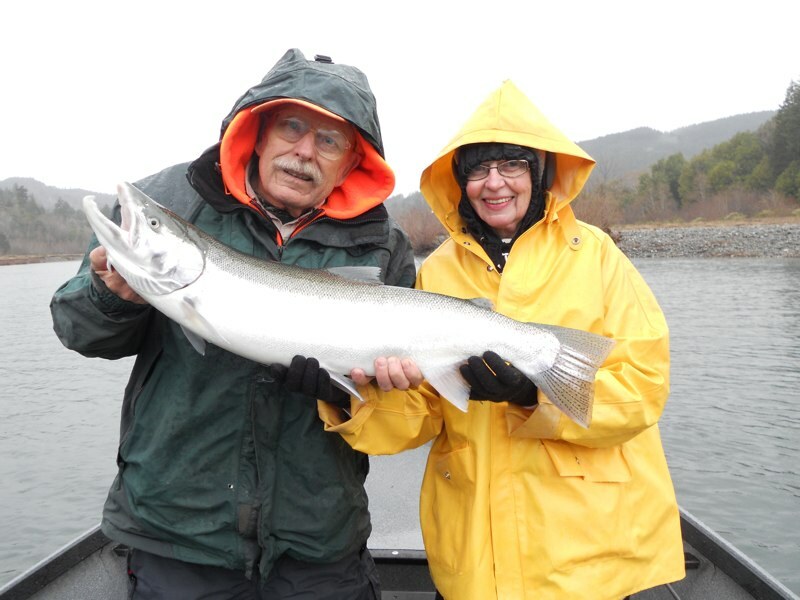 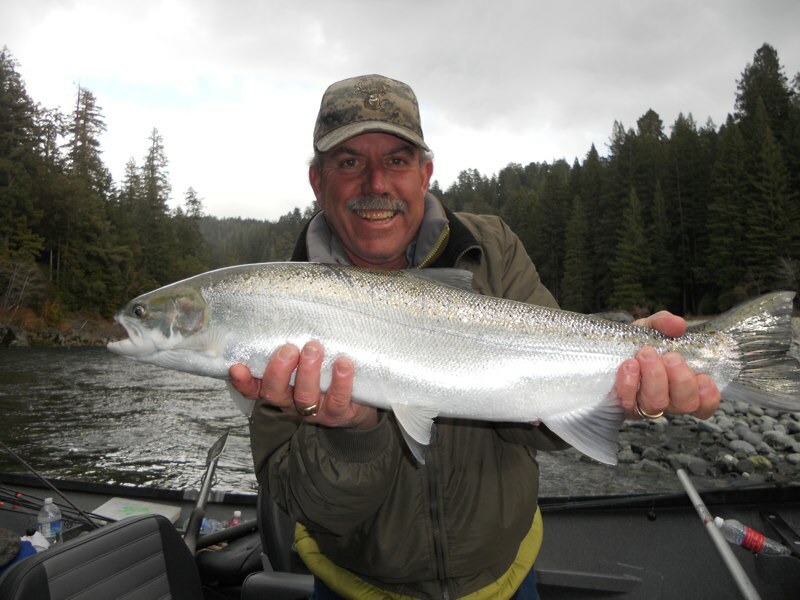 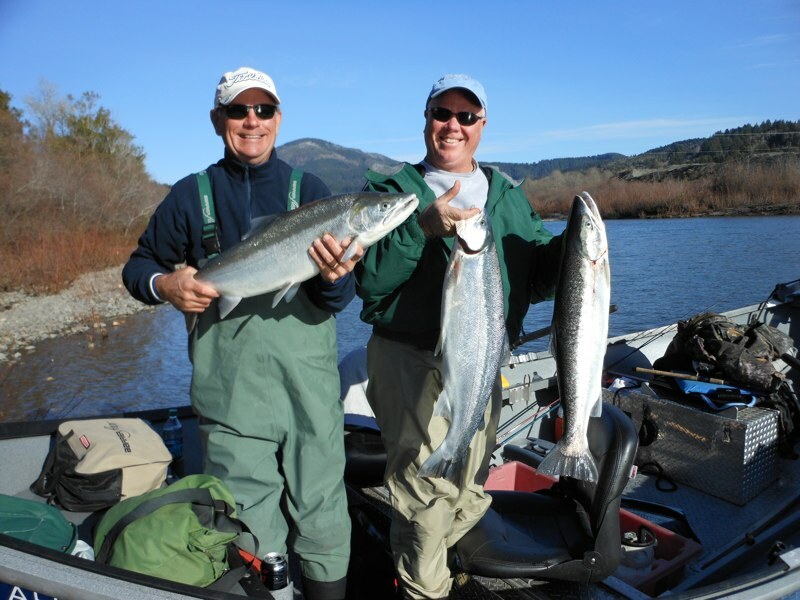 Many of our clients return each year for more of this exceptional fishing. 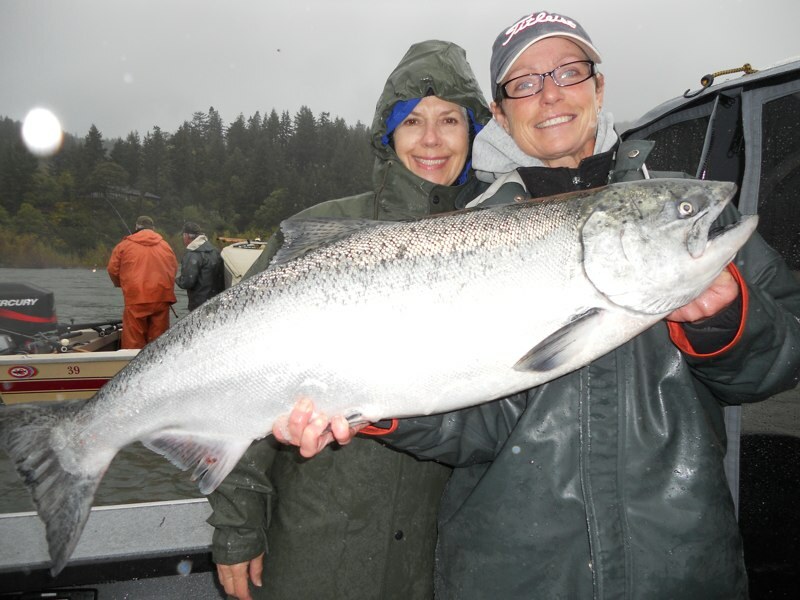 We invite you to take a stroll through the pages of our photo album to see what you've been missing! 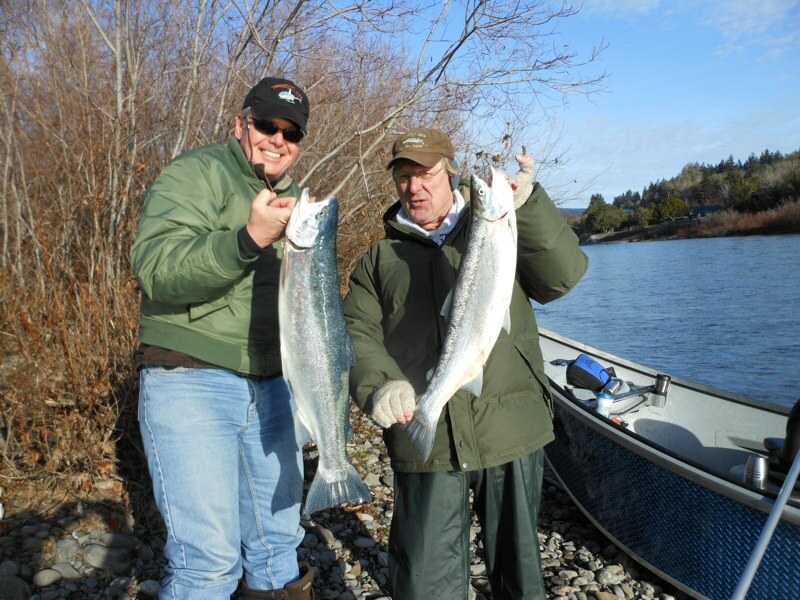 Bundle Up - The Fishin's Hot!